I was flying to US west coast, from Singapore sometime back. This particular flight was jam packed and not a single vacant seat was seen anywhere. I was sitting in one of the aisle seats in the middle bunch of seats, which have aisles on both the sides. On my right was the aisle and after that a bunch of three more seats in the same row as mine. As our flight took off and we all settled down for the long haul flight, my attention was drawn to the three passengers on my right sitting next to each other. In the middle seat, sat a huge man with overabundance of body fat on his midriff and arms. He definitely weighed more than 100 Kg and had an enormous body volume, which he had somehow managed to compress in the airline seat with the result that his body fat just overflew the space provided by the airline to his sides. Both his arms had fully occupied the common hand rests between the seats. There were two ladies sitting on his sides and they were physically pushed to the opposite side by this huge chunk of flesh sitting in the middle of them. They had already requested the cabin crew to allot them alternate sitting arrangements. However since the aircraft was full to the capacity, their request was politely declined. For next 15 hours, it was sort of a living hell for both those ladies. Recently, a Norwegian economist, Bharat P. Bhatta has proposed in a journal article that obese passengers should pay more when flying, since it costs airlines more for the extra fuel to fly them to their destination. I do not know whether his suggestion was ever taken seriously by any airline of the world. 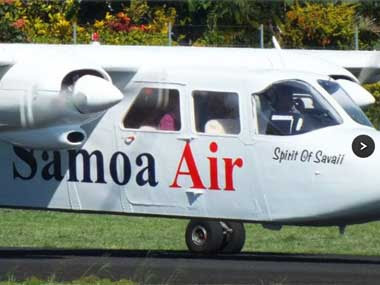 Somehow for Samoa Air, the suggestion came as a sure remedy for their troubles, because Samoa has a serious obesity problem and is often included in the top 10 countries of the world for obesity levels. When the airline is carrying only 8 to 12 people and if a few big Samoans turn up for the flight, the airline is bound to loose money. 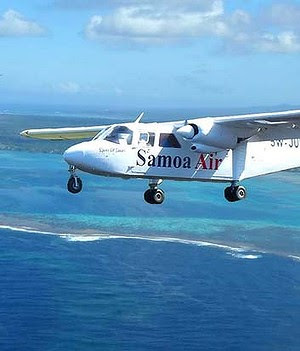 Samoa air has now officially started pay per Kilo airfare system. Under this system, the passengers must type in their weight and the weight of their baggage into the online booking section of the airline's website. The rates vary depending on the distance flown: from $1 per kilogram on the airline's shortest domestic route to about $4.16 per kilogram for travel between Samoa and American Samoa. Passengers are then weighed again on scales at the airport, to check that they weren't giving false weights online. Sydney Morning Herald reports that chief executive of Samoa Air, Chris Langton has explained new policy of his airline in these words. 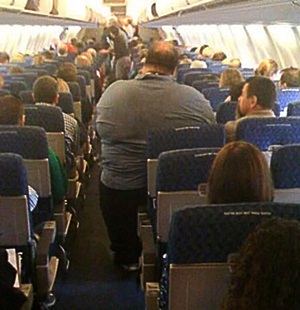 Some airlines in the United States, already ask obese passengers, who cannot fit in a single seat to pay for two seats. But this may be the first ever attempt by an airline to charge but this is the first time a per-kilo rate has been used by an airline. "the standard width and pitch of seats are changing as people are getting a bit bigger, wider and taller than they were 40 to 50 years ago".